Castrol EDGE question and answers. Syntec technology is? Also is 0W-30 which we affectionately refer to as GC a completely different formulation from the other Edge w/Syntec oils? Difference from “green” GC? As you are aware, SYNTEC was our first synthetic brand name. We then launched a second synthetic brand called Castrol EDGE. With the most recent oil industry upgrade (GF-5 and SN), it was decided to align our synthetic brands under the name Castrol EDGE. However, we wanted to maintain the name SYNTEC for our loyal customers of this product. Castrol EDGE with SYNTEC Power Technology is the product that is similar to the previous SYNTEC product. This product has been upgraded to meet API SN and ILSAC GF-5 (where applicable), but the synthetic fluids and performance additives are similar to what was used in SYNTEC – which is the reason for the “Syntec technology” term. EDGE 0W-30 is a unique formulation to the other formulas in the EDGE family. The 0W-30 grade has a growing interest and we wanted to make sure we had a quality product in the market that properly represented the EDGE brand name. Follow-up info — Sep 21, 2012Details on our formulations are of course proprietary to Castrol. However in moving to GF-5 we used high quality synthetic base oils as in GF-4. Changes were made in the additives where detergent balances and our exclusive dispersant technology were employed along with state of the art friction modifiers to achieve new levels of fuel economy and superior sludge control performance. I use the old Castrol EDGE in my Corvette with great results. How does the new Castrol EDGE with Syntec Power Technology compare to the old Edge? Is the old Edge closer to the new Edge with Titanium? Before the most recent industry upgrade (ILSAC GF-5/API SN), the Castrol Americas motor oil brand had two synthetic brand names – SYNTEC and EDGE. When our products upgraded to the new GF-5/SN specification, a decision was made to reduce customer confusion about the two different brand names. As the new formulations were completed, the name of Syntec was changed to Castrol EDGE with SYNTEC Power Technology (black bottle) and Castrol EDGE was changed to Castrol EDGE with Titanium FST Technology (gold bold). So the old brand name SYNTEC is closer to Castrol EDGE with SYNTEC Power Technology; but the current product has been upgraded to meet the new, improved industry specifications. I have been using Castrol Syntec 5w50 oil in my 440 cubic inch Dodge motorhome. Will this grade continue to be offered? There is currently no plan to stop producing Castrol EDGE with SYNTEC Power Technology 5W-50. A friend has a new GT500 and is wondering if the 5w-50, if it is continued to be offered, will be certified with the appropriate Ford specification. The plan is to continue to offer Castrol EDGE with SYNTEC Power Technology as a 5W-50. This product does not meet the Ford 5W-50 specification. Follow-up info — Sep 21, 2012Castrol EDGE with SPT 5W-50 certainly meets the engine protection and performance requirements of the Ford spec for the GT 500. The one part of the specification that is not met is the maximum requirement for phosphorus in the motor oil. This is to address long term catalyst and emission system control protection. Castrol EDGE SPT 5W-50 is boosted with antiwear additive to ensure protection in older flat cam and tappet design engines. Raising the antiwear also raises the phosphorus in the formulation. What is the actual HTHS viscosity of Edge with SPT 0w-30? Castrol EDGE with SYNTEC Power Technology 0W-30 meets the industry specification for a 30 weight oil, which is 2.9 minimum. Follow-up info — Sep 21, 2012The one reason not to publish the HTHS viscosity is that this value can lead to consumer misinterpretation. A higher HTHS may be important in delivering performance and protection. However a lower HTHS viscosity can deliver fuel economy improvement. The important item is that the level of HTHS meets the vehicle manufacturers’ requirements for both fuel economy and protection. This is controlled through their recommendation of viscosity grade ( eg 5W-30 ) and specification ( eg API SN/ILSAC GF-5). Please clarify the differentiation between the Edge Syntec v. Edge w/Titanium. If Titanium is as marketed as ‘better than’ Syntec, why are A3/B3 oil grades 0w-30 & 5w-40, which meet Daimler 229.5 & 229.3, etc. not offered here in the U.S. as a Edge Titanium? Syntec meets a higher-(more difficult) spec but Titanium in marketing is referred to as ….’most advanced oil’, but it does not meet the most advanced spec’s? For brand clarification-change the Syntec v. Titanium to ‘Black Label & Gold Label’. Real simple and easy to remember. Not sure how much intangible value there is to the Syntec name. Castrol EDGE with SYNTEC Power Technology and Castrol EDGE with Titanium FST Technology are both high quality synthetic oils. The Titanium FST Technology product is referred to as the “most advanced oil” in part because it contains a new, advanced additive developed by the Castrol Technical group that contains Titanium. This additive has been found to give improved engine test performance, in particular in power testing. Good point that you made about the brand clarification. The reason for the “Syntec vs. Titanium” names that you mentioned is that many of our customers liked the SYNTEC brand name. When both products recently got upgraded to meet the new ILSAC GF-5 and API SN industry specifications, it was decided that our synthetic oils should all be under the EDGE brand name. However, to differentiate the products under the EDGE name, the product that was previously called SYNTEC was changed to Castrol EDGE with SYNTEC Power Technology for our loyal SYNTEC customers. Follow-up info — Sep 21, 2012Actual engine test results are considered proprietary and confidential. Such results are communicated to our customers in the form of specifications and claims. Keeping these confidential is a common practice in the industry. We appreciate your interest in more information on Castrol EDGE and we are always reviewing opportunities to provide more performance details. We certainly are reviewing these opportunities with EDGE and all Castrol motor oil products. Castrol my question is although GM 4718M is a obsolete specification would Castrol EDGE with SYNTEC Power Technology perform well enough to surpass this specification? Although it is no longer a current specification, Castrol EDGE with SYNTEC would meet the obsolete GM 4718 specification. About the new formulas…Is it the same formula used in the European Edge? If so, then how about the origin of the base-stock? Which ones of your blends is still a majority of PAO based formula? The Castrol EDGE formulas are not the same as the formulas used in the European versions of EDGE. All of our synthetic oils are blended with highly refined synthetic base oils to give the improved performance of a synthetic motor oil. I visited the US this past week and bought a Castrol product and filled up at a BP for the first time since “the disaster”. Went to AAP this past weekend and purchased 5 qts of 0W20 Syntec w/titanium. I know the opinions have been largely mixed on this board but feel it is at least worth giving it a shot. It gets quite cold up here so my only concern with this oil would be its pour point. Thanks for using our Castrol product! Our products are formulated to meet or exceed industry specifications, which are designed to be extreme in nature. Our 0W-20 have been tested and pours below -36° C.
Would it be possible to provide actual HTHS viscosity data on the PDS Sheets? Many folks would appreciate the information. As an owner of a Jetta 1.8t, suitable oil choices are more limited than most other vehicles. How do the current suitable 0w-30 formulations differ from the Green colored 0w-30 formulation of the early 2000s? Sorry to hear that you were not able to see the HTHS data on the PDS sheet. All Castrol EDGE oils are strong in HTHS performance and meet all industry specifications (for the XW-30 grade, the minimum HTHS is 2.9). Engine oil specifications have upgraded since the early 2000’s. Depending how early in the 2000’s you are referring to, there have been at least two engine oil specification upgrades. The engine oils of that time were targeting specifications of API SL and GF-3. As time has gone on, the industry has called for upgrades to the engine oil to match the advancements made in engine technology. So the 0W-30 you used back in the early 2000’s has gone through a number of changes to become the product you see today. Follow-up info — Sep 21, 2012We appreciate the interest in the exact HTHS value of our oils. The reason that we quote a range ( or a specification) is this is how we formulate. When any Castrol product is developed we begin by understanding that certain grades and specifications will call for a certain minimum ( and in some case maximum) HTHS viscosity value. Once this is achieved all other tests are ensured. Depending upon the formulation the HTHS may deviate slightly to ensure other performance requirements for engine protection and fuel economy are met. Thus we do not list an exact number since this number can vary within specification depending upon the formulation. What is the difference between the old “Syntec” name, and “Syntec Power Technology”. It used to be that “Syntec” was a branding, and now it’s apparently a “technology”. 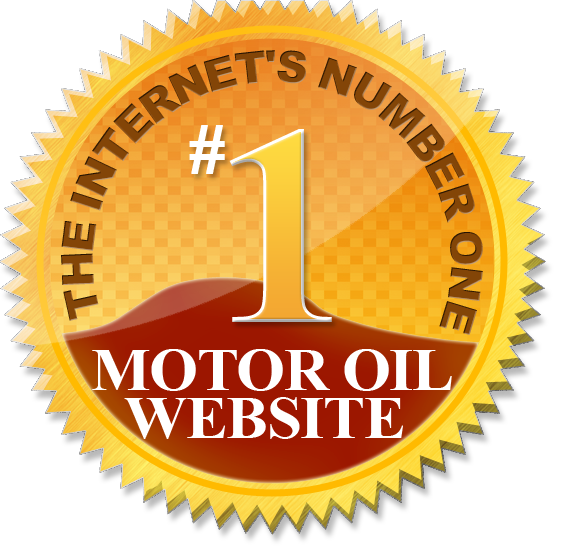 But the product web page indicates that it’s the same oil with a different name. With the most recent industry upgrade to ILSAC GF-5 and API SN, our SYNTEC and EDGE products were reformulated and re-tested to confirm we met the new industry specifications. At the same time, the name of Castrol SYNTEC was changed to Castrol EDGE with SYNTEC Power Technology. The reason for this name change was to have all our synthetic products under the Castrol EDGE brand. However, we did not want to confuse customers that liked the SYNTEC name. So the old product SYNTEC, which met ILSAC GF-4 and API SM was reformulated to meet GF-5 and SN and the name was changed to Castrol EDGE with SYNTEC Power Technology. Without giving away any details of proprietary nature, could you provide any real world figures and benefits of “Syntec Power Technology” over regular synthetic technology? I see that product web page indicates better performance, superior protection, and increased power over other brands. However, I cannot find any details that explain these claims. It is difficult to go into real world data without Marketing and Legal approval. From a Technical perspective, Castrol EDGE with SYNTEC Power Technology has been proven in real engine dyno testing to show stronger performance on power testing than other oils available in the market. Also, the new formulation of Castrol EDGE with SYNTEC Power Technology performs better in the same testing than the previous SYNTEC formulation. Could you explain the performance benefits of titanium on your Castrol EDGE With Titanium. A few research documents indicate that the titanium bonds to engine parts and forms iron titanate. The research doesn’t yet indicate that it is better at reducing wear, but indicates that it may be a suitable alternative to ZDDP, which in high amounts can damage catalytic converters due to the phosphorus. Testing we have done has proven that our Titanium additive technology provides performance benefits in many areas critical to engine protection – in particular in the areas of wear, sludge prevention and power performance. Follow-up info — Sep 21, 2012At this time we are not prepared to release additional details or data but are reviewing opportunities to do so. Do your EDGE products support extended drain intervals (beyond 3,000 miles), per the vehicle manufacturer’s specifications or oil life monitor? Or do you recommend that all of your oils are changed within a strict 3,000 mile interval? Do you support even longer drain intervals with your oils (e.g. 10k miles), provided it is within the engine manufacturer’s specifications? Our EDGE products have shown outstanding engine performance in all the testing that we have done with them. However, all cars are different and the type of driving that each person does (normal, stop and go, severe) is different. Because of these differences in cars and driving conditions, Castrol recommends that you follow the recommendations of your car owner’s manual for the type of driving (normal or severe) that the vehicle is being operated. Is German Castrol being sold in the US? Some say they have seen it, but it’s made in the US. Is there a different name for it now? Is it just Castrol Syntec 0w30? Thanks for your time! The Elixion 5W30 looks to be a great diesel oil but it’s almost impossible to find. Might that change in the near future? Also, could you highlight the difference in formulation between the GTX diesel and the Tection Extra? performance of the product and that Elixion helps to save fuel. As far as finding Elixion 5W-30, please refer to our web page (www.castrol.com) or contact our Customer Service line at 1-800-462-0835. Both GTX Diesel and Elixion are API CJ-4 performing engine oils. However, GTX Diesel is a conventional mineral oil formulation whereas Elixion is a full synthetic motor oil. Elixion is also a 5W-30 grade compared to GTX Diesel, which is currently available as a 15W-40. The 5W-30 grade, which should be used where SAE 30 grade oils are recommended, provides better low temperature start up performance and greater fuel economy potential. Is either Edge grade (w/Syntec or w/Titanium) appropriate for extended drains, such as 12,000 miles or more? I used Edge SM 5W-30 for about 6300 in one of our Hondas. It seemed to be a very smooth and quiet oil in use, and consumption was maybe half a quart over the interval that I ran. Also, why isn’t Syntec 0W-30, made in Germany, in wider distribution? Why doesn’t Wal-Mart stock this really good oil? They stock Castrol products, and they stock M1 0W-40. Glad to hear that you enjoy our EDGE product! Our EDGE products were upgraded to meet the new API SN industry category. So the EDGE SM 5W-30 that you previously used is comparable to EDGE with Titanium FST Technology 5W-30 API SN product. However, the SN product has shown improved performance over the EDGE SM 5W-30 that you used in the past. Firstly, I agree with other posters that HTHS is increasingly becoming a metric that oil users understand, and it would be great to have that on PDS. Secondly, moving the 0W-40 to Non DPF safe must have been a conscious decision. What was it in the new formulations that made it worthy of dropping DPFs ? Thirdly, at least in Australia, I’ve only ever seen the 0W-20 in 20 litres drums at the dealer, and not on retail shelves. Is this going to change ? I need some clarification on the product that you are discussing. The question refers to a 0W-40 Non DPF safe, but doesn’t mention the Castrol product. In the US, there isn’t an HD 0W-40 brand offering so I want to make sure what product the question is discussing. I don’t have any questions, but I like that your quart bottles have a large opening/mouth. It makes pouring the oil into a funnel a lot easier. Thank you for using our product! Glad to hear you are happy with it and our unique bottle design. Do you have any TBN data of the new formulation on Edge Syntec and Edge w/ Titanium? What is the main difference between them? What is the major difference between the old and new formula? Is it mainly the additive? or is the base oil changed significantly too? The major difference between Castrol Syntec and Castrol EDGE (both with Syntec Power Technology and Titanium) is Castrol EDGE meets the latest API SN and ILSAC GF-5 performance categories whereas Castrol Syntec met the previous API SM /ILSAC GF-4. In addition Castrol EDGE 5W-30 meets the performance requirements of GM dexos 1. This along with the addition of our titanium additive in EDGE with TiFST are the main differences. Can we assume that if we could run the old Syntec for 10k miles, we can run 42% longer at 14.2k miles because it has that much better ability to fight deposit? What’s the recommendation on using it as extended drain? Based on our industry testing, Castrol EDGE performed better than Castrol Syntec. However, drain intervals are difficult to specify due to the fact that every driver has different operating conditions (age and type of vehicle, area and weather conditions for driving, driving conditions, stop and go, severe driving, etc). Based on comparison of engine test data, EDGE would be expected to perform better than Syntec; however, Castrol always recommends you follow your car owner’s manual for the proper recommended drain intervals. The 40C viscosity is not what dictates the “W grade” of a motor oil. The W grade is defined by two primary tests run at low temperature. One measures the ability of the oil the enable the crankshaft to turn over (know as a cold cranking viscosity). The second test measures the ability of the oil to be pumped. For a 5W grade the cold cranking viscosity is measured at -30C and the pumping at -35C. For a 15W grade the cold cranking is measure at -20C and the pumping at -25C. So a 5W multigrade oil can be used at lower temperatures than a 15w multigrade. How much more effective is Titanium than moly for engine wear? Both Moly and the unique Titanium additive used in Castrol EDGE with FST Titanium have been found to have excellent wear protection properties. However, Castrol has not done a direct comparison of exact formulations to say how much better our Titanium additive is compared to Moly, so an exact number is not available. The Titanium additive does provide excellent wear protection, and also has proven to help reduce sludge formation. Does the Castrol EDGE Titanium formula retain the same properties for the oil to cling like advertised for the Magnatec formula. Castrol EDGE with Titanium FST contains a significantly different base oil mixture and additive package than Magnatec. Castrol EDGE with FST is our top premium full synthetic motor oil formulation with specific additives that not only has passed US standards but also the tougher European ACEA specifications for engine protection. Castrol Magnatec is a strong performing partial synthetic formulation that has been specifically designed for outstanding wear protection. Both Edge with Titanium FST and Magnatec have proven to give excellent wear protection based on industry testing. Is the Castrol EDGE SPT in 5w-40 suitable for use in small turbo diesels like the Jeep Liberty CRD since it has a CF rating? The Castrol product that would be recommended for small turbo diesels like the Jeep Liberty CRD would depend on the engine and OEM. For example, the Grand Cherokee V6 3.0 Diesel Turbo (2007-2008) calls for Chrysler Spec MS-11106 or MB 229.51 and ACEA C3. The Castrol product recommended for this engine is Castrol EDGE Professional OE 5W-30. For the 2005-2006 Liberty CRD, the oil must meet API SL/CF and Chrysler MS 10725. Due to limited US application, Castrol does not have an oil that meets MS 10725. Castrol EDGE Professional OE 5W-30 (also seen in the market as Castrol SLX Professional OE 5W-30) can be purchased at Amazon.com and VW’s dealerships. I think most of us at BITOG would love to see a more comprehensive PDS for all Edge/SPT and Edge / FST. Thank you for your comment about the Product Data Sheets for our Castrol EDGE products. At Castrol, we try to provide the best information for our customers. Although we cannot not provide all the data on our products, we will take the comments you and other of our loyal customers into account and look to put out more information on our PDS in the near future.